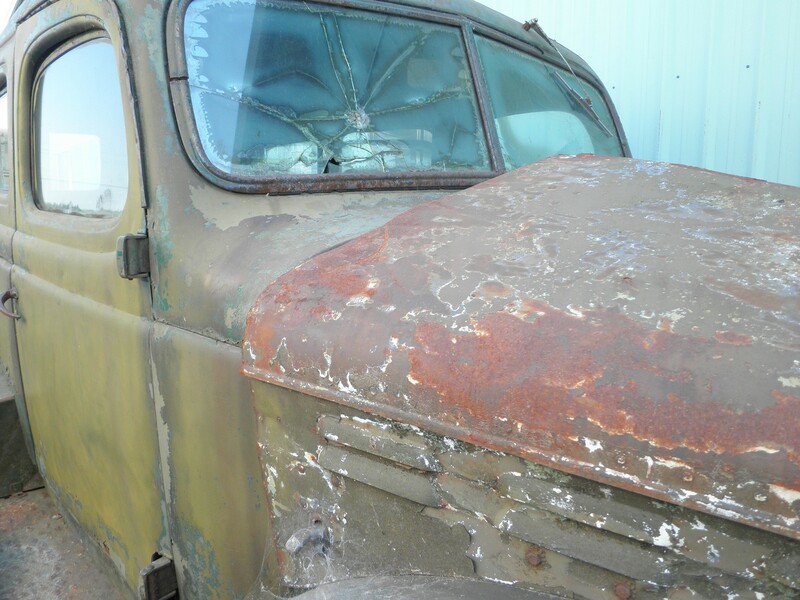 The man has a knack for spotting old things stuck in the bushes… along a road… in someone’s driveway… out in the middle of no-where. He catches a glimpse… of a headlight, a tail light amongst the branches, a rusty fender… and more often than not it ends up in our yard. 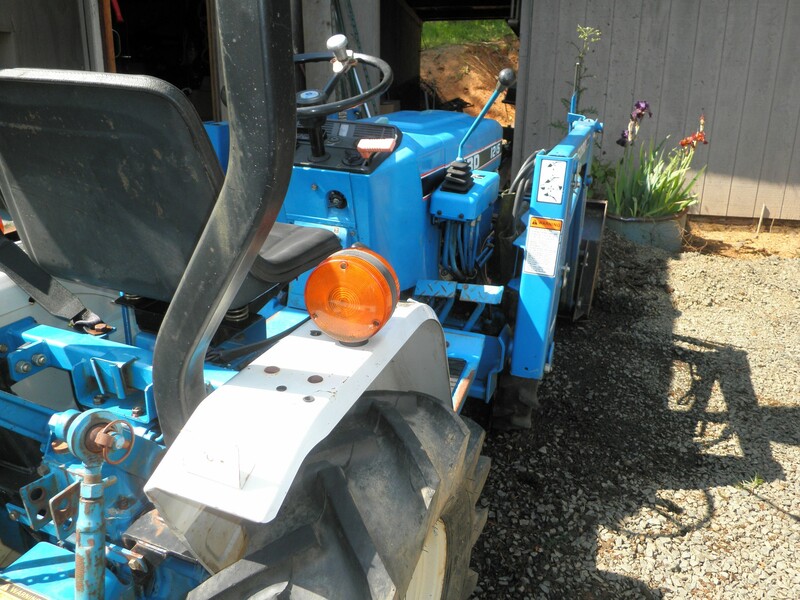 Last weekend’s acquisition is a tractor… from a neighbor’s yard where it’s been rusting for years. They were thrilled to see it go and he was more than happy to take it off their hands. Does it have the potential to run? I hope so, because it was fun to steer – plus it all felt very farmy-ish. So Doug plows driveway… tows suburban home… connects two wires… car starts… drives to dump and unloads garbage… drives to car wash and scrubs it inside and out… drives it home to me. And I drove that car for years. Toted boys and groceries and laundry and sports equipment and coolers of salmon. Fairbanks, Valdez, Kenai, Homer… it went everywhere there was a road… and a few places there wasn’t. At the laundromat the back-end doubled as a playground for Star Wars and GI Joe adventures. And when we left Alaska it made the cut to caravan down the highway to Oregon… where a mechanic’s wife said ‘driving a car like that should be grounds for divorce’. Quite rude, don’t you think? It was a great old car. It fit our family. It didn’t let us down. I’m glad the man has an eye for potential. And it’s a good thing he’s not afraid of a little hard work. I’m also glad he views in the same way, the potential and hard work involved in our relationship. At least… I’m guessing, after all these years… I think he must. And when I drive myself in circles and roll off the deep end worrying about things I cannot fix… when I get stuck on the negative and forget to remember the good stuff… I’m glad God finds me in the mess I’ve made of myself. He’s not put off by the exterior. He sees thru his lens of possibility. He sees who he created me to be. The top layer is rarely the true story anyway… I’m learning. “The top layer is rarely the true story anyway…” Good line! “Not put off by the exterior…see thru a lens of possibilities”…amen to those who see our possibilities and not our muddled messes. And yes, it was rude to comment that way about your reliable old Suburban. The stories of machines with personalities are very believable to me – we have owned several of them!